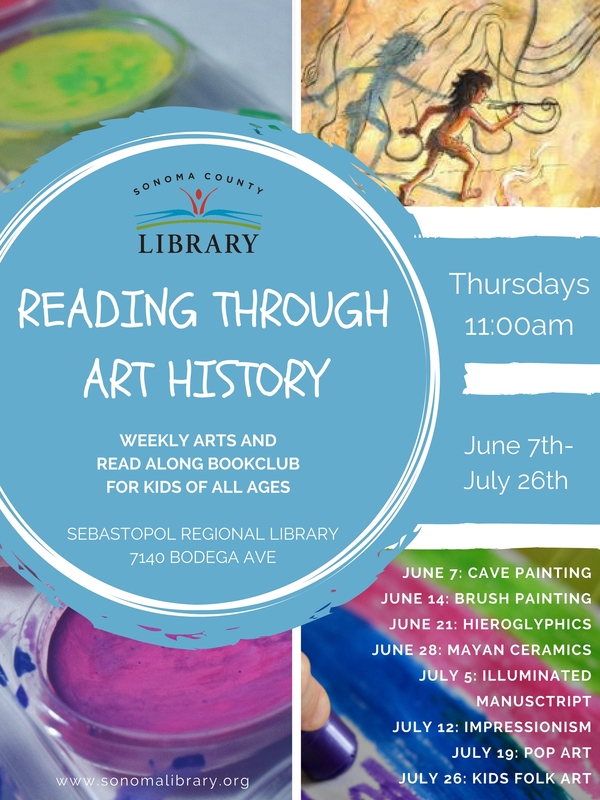 Join us Thursday mornings from June 7th to July 26th as we learn about a variety of art forms through children’s books and artistic experimentation. Each week we will read together through a different picture book and have materials available to try out an art form featured in the book. Come for just one week or for every event. Recommended for ages 5-105.